In natural foods, it's all about trends within trends this year. Increased consumer consciousness maintains the broader plant-based and CBD movements. But at Expo West, it was their micro trends sparking excitement. 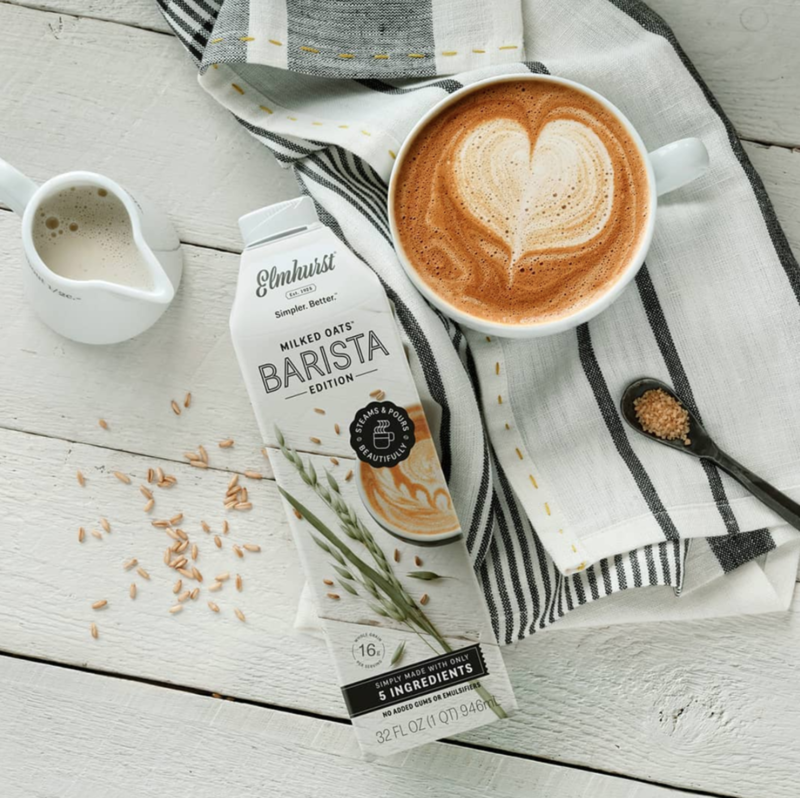 Oat milk was all the rage at Expo West. Coveted for its creamy texture, neutral taste and non-allergenic properties, this milk is rising in popularity. Though Oatly was the original pioneer, Elmhurst 1925 presents the drink with only 5 clean ingredients. Meanwhile, So Delicious brings its Oatmilk line to the yogurt and ice cream aisle. Creaminess is enhanced with coconut oil, delivering against their traditional competitors. Not to be left out, dairy is looking to revitalize itself. Small players are promoting the original milk: A2. Somewhere along the line, A1 crept into dairy and created the A1/A2 blend pervasive in milk protein today. Many say those who are lactose intolerant are actually sensitive to A1. A2 digests well without gut inflammation. Now players like, Alexandre Family Farms and A2 Milk want to bring A2 to the masses. This may be the hook to lure folks back to dairy. Like oatmilk, CBD was pervasive at Expo West. With cannabis legalization bound for more states, young brands are willing to take the first mover burden: consumer education. This is a tall order for a complex ingredient . However, the winners will be those with easy concepts consumers can grasp quickly. PLNT combines juicing with full spectrum CBD. 3 flavors: Turmeric Ginger, Pineapple Chamomile, and Mint Matcha mixes anti-inflammatory and antioxidants with cannabidiol to balance the body's endocannabinoid (ECS) system. According to the brand, it is a strong ECS that brings "homeostasis to your brain, body and gut." There are multiple trends captured in one bottle here. Meanwhile Nut Raw, the popular pistachio brand, launched two new CBD concepts at Expo West: a hemp protein bar and nut butter. Because the brand owns the CBD cultivation and extraction, it guarantees its products are free from pesticides prevalent in other cannabis products. This is a must-have benefit as consumers demand clean labels. Though gut health dominated in the last several years, brain focus is emerging as the next big trend. Several brands look to address this in the critical early years. Brainiac started on the premise that feeding "growing" foods had been a greater (and easier) target than brain food for children. Interestingly, kids are only getting 20% of their daily Omega-3 DHA/EPA*. It's hard to force down the salmon and broccoli. Brainiac eliminates this battle through their neurologist-developed yogurts. These easy-to-eat flavors will get little resistance from young ones. Meanwhile, Lynq has a different take on feeding the brain. Their products convert fruits & vegetables into powders, giving consumers flexibility to mix a juice or bake a treat. Their "Brainiac" flavor increases cognitive activity with 50% of your daily vitamins, all through its whole food ingredients. Lynq's surprisingly clean label and adaptable uses makes for a great addition to the family's pantry. Juicing had its moment, and herbs are coming right on its heel. This ancient remedy is seeing a modern evolution through several refreshing beverage brands. Sunwink offers three different ways to get back to good. Through the brand's drinkable Detox Ginger, Immunity Berry, and Turmeric Cleanse, you may enjoy the beverages independently or through a 6-day plan. Unlike a juice cleanse, Sunwink conveniently invites consumers to drink their tonics twice a day (for 6 days) with no changes to their daily diets. Fitting into people's already established routine, is a winning path. Similarly, Mr. Mak spotlights ancient Eastern medicine with the Gin Bao line. Each shelf-stable ginger & ginseng broth can be consumed cold or hot. This concoction has been used for centuries to aid in digestion and immunity. To make for an easy drink, it is offered with no added sugar (straight-up or sweetened by fruits/honey). Bottling an ancient home cure is a welcome convenience, especially for those feeling under the weather. Plant power is taking over the jerky aisle. Already at Fancy Food Show, mushroom jerky had a strong showing. But Expo West featured a myriad of plant innovation in this snacking segment. The wide range of different textures and flavors will satisfy many vegan and omnivore palates. 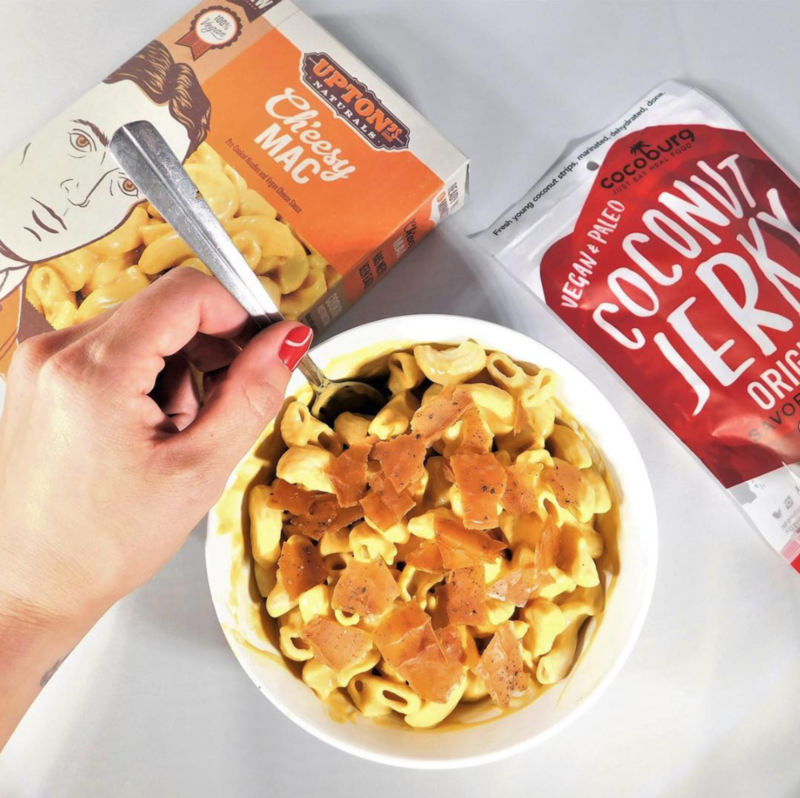 Cocoburg's Coconut Jerky is a star within the vegan brand's portfolio. Hearty and delicious- it's hard to stop snacking once you've opened a bag. Two of the three flavors, Chili Lime and Ginger Teriyaki, offers an ethnic taste profile that complements the coconut base. Upton's Naturals has also jumped into the game with its Jerky Bites. This newly launched line is wheat protein-based with a simple ingredient list. The brand is making a statement releasing 4 flavors, most of which leans epicurean: Smoky Original, Tarragon Ginger Lime, Tamarind Pepperoni and Pineapple Pink Peppercorn. To satisfy the sweet tooth, Solely condenses large portions of fruit into jerky. The mango offering reduces one whole fruit into the jerky, while pineapple contains half of the fruit. The result: a delicious texture that's chewier and richer than fruit leathers. You can not scroll your news feed without articles about single use plastic and excess packaging. The verdict is clear: 52% of millennials want less packaging, while 48% seek environmentally friendly packs. ** It is not a secret that the CPG industry is a large culprit. Yet progress is slow here- even in the natural space. Few brands like, Sun & Swell and Alter Eco made early commitments with compostable packaging. It won't go unrewarded for long. Like "give backs," this trend will soon be a must-have with consumers. Sign up for hot trend reports! Thank you for signing up to hear the latest trends. Looking forward to helping your brand grow!